It is important for commercial properties and complexes to preserve a safe and healthy indoor and outdoor environment for the general public, including employees, visitors, customers, and guests. One important part of this initiative is tree care. Trees can be a liability if not maintained properly. Overgrown foliage and branches can be hazardous for drivers and pedestrians and can even jeopardize the structural integrity of buildings, vehicles, and more. 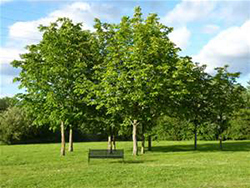 With responsible routine tree service, commercial properties will not only look professional but also provide a safe and functional environment for all. Complete Tree Care offers commercial tree services for all industries and property sizes in Indianapolis and its surrounding locations. Our professional tree experts have enough experience in the tree care industry to assist with your tree needs. Our company and teams are also fully-insured so there is no liability on your part for injuries or accidents. Call our office at 317-783-2518 to learn more about our Indianapolis commercial tree services, prices, and availability today! Call our professional tree specialists at 317-783-2518 for commercial tree service in Indianapolis, and its surrounding areas!